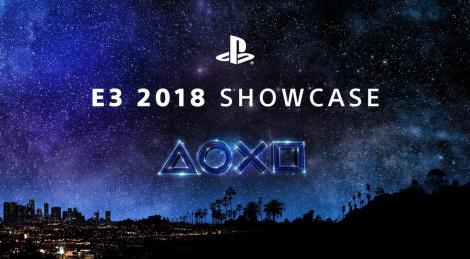 Sony will debut its E3 PlayStation Showcase in 20 minutes (6 PM PT). Jump inside to access the livestream. Pretty great. Death stranding for me is the best looking game at E3. I felt like I was looking at PS5. It was a bit of weird format though, and the end was too abrupt. Should have finished with FFVIIR footage, where the hell is that game? Lots of games i'm going to buy. That's all I wanted. Death stranding looks confusing but I have faith. Remedy looks like they're finally making an interesting game. Ghost of Tsushima looked amazing. Resident evil 2 looks to be nailing the atmosphere but I'm worried about it playing like resident evil 4. Spiderman looks as stunning as ever and is out quite soon. Good show. Quality over quantity. Edit. I can't wait to see that last of us gameplay in high bitrate. well well well. not what i expected but man that was good. Great show, despite some hiccups like the transition from one stage to another and the music sections, which could have been used to show games. Still, everything considered, it was a great show. The Last of Us: Part 2, Spider-Man, Death Stranding, Ghost of Tsushima, Resident Evil 2 and Control made the show for me. Specially TLoU2, it really surprised me how great and natural the gameplay and flow of combat and movement were. Naughty Dog really upped their game. Will be another epic game. and the new game shown to ps4 owners from fromsoft was crappy looking VR game, where is Bloodborne 2? or demon souls remake? I thought this was pretty underwhelming. But OMG Spiderman is going to be epic. So many enemies and the gameplay demo they showed after the show was amazing. Dreath Standing is really confusing but other 3 games shown were all great. Remedy finally making game on PS4 is also good for them. Nice to see RE2, Nioh2. Worst Sony Conference since "Giant enemy crabs"... At least that was fun. They have good games but come on... Fans deserve better than this. That Spider Man trailer was all bvllsh1t... They had the game ready to show gameplay... why showing bumped up CGI?... I'm also dubious about Ghost... way too scripted... I'm not sure it will be representative of the final product. if they had shown trailers during the stage transition it would ve been such an amazing conference. They killed the mood right after tlou2 too.